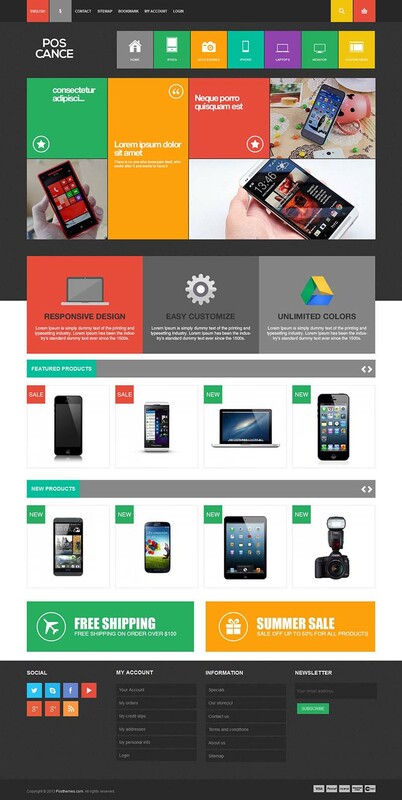 Cance is a responsive Prestashop theme with fresh, beautiful and metro styled layout. Suitable for your shops selling electronics, gadgets, TVs, cameras, photo, video, and home audio equipment, cell phones and accessories. This theme has been designed using latest CSS3 technology and bootstrap and comes with many awesome features such as Megamenu with unlimited database containers, Featured product block, many product widgets, highlighted categories, advanced admin module and many more.